Blogathons? Yeah, we need some stinkin’ blogathons! Ask and ye shall receive. The classic film blogging community has several special events coming up in the next few months, and we’re rounding up some of them for you here. In concurrence with TCM’s annual celebration of all things Oscar, the three bloggers who brought you last fall’s “What a Character!” blogathon have once again teamed up for another event. This time, it’s all about the Academy Awards–and it’s not just limited to classic film, either. 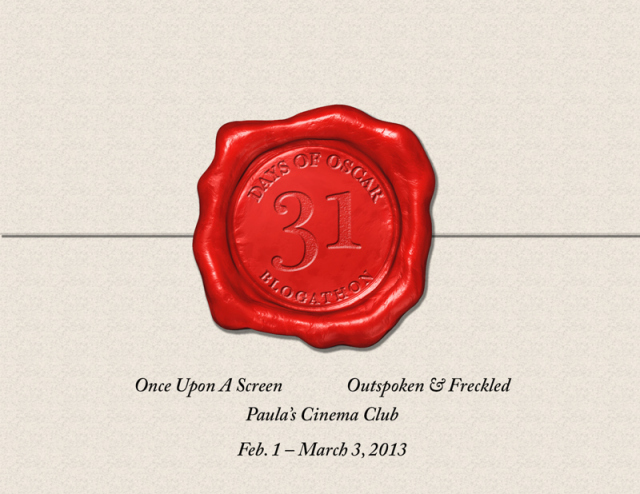 For more information, check out Aurora’s post on the event at Once Upon a Screen. The first of the Classic Movie Blog Association’s two annual blogathons will focus on a broad topic–the movies of what was arguably Hollywood’s most creative decade (feel free to challenge that in the comments), the 1940s. We will be kicking in our two cents with a piece on the 1942 George Stevens classic The Talk of the Town. More information is available on the CMBA site. 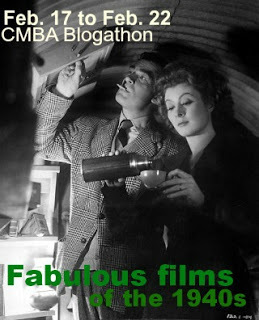 Note: this particular blogathon is only open to CMBA members. The lovely Carley, proprietress of the Pictorial, is hosting a blogathon to celebrate what she calls “those movies”–the ones you love unconditionally, the ones you turn to when you need a boost, the ones you’re sometimes embarrassed to admit fit that bill. More details will be forthcoming next week, so keep an eye on the site for more information about how to participate in this one. 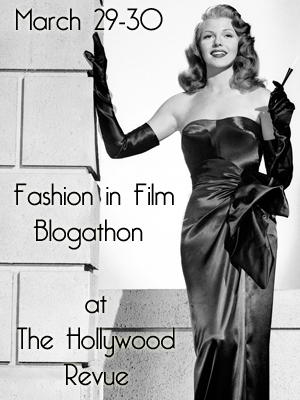 New CMBA inductee Patti is hosting her first-ever blogathon in honor of actor John Garfield’s 100th birthday. In recognition of Garfield’s achievements and his varied filmography, Patti is looking for contributors to each tackle a different film or interesting aspect of Garfield’s career. You can find more details and sign up to participate at They Don’t Make ‘Em Like They Used To. It’s baaaack … Angela’s popular Fashion in Film event from 2011 makes a triumphant return this spring. Posts about any aspect of fashion, style, and costume design in the movies are welcome–and are not restricted to the world of classic movies. For more information, check out the Revue (and Angela’s nifty video announcement of the blogathon!). R.D. 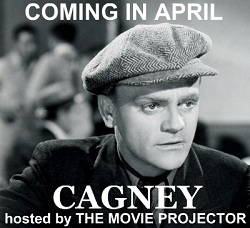 Finch is hosting a celebration of gangster/hoofing icon James Cagney at The Movie Projector in April. Exact dates are unavailable, as he is still making arrangements and signing up contributors. If interested in participating, contact R.D. through the site. Have we forgotten to list any upcoming events here? Let us know in the comments! And to conclude, just a heads-up: since the winter/spring slate is pretty full, we here at True Classics are planning our own event for sometime this summer. We’ll have more details in a couple of months, as it gets closer to show time (and yes, there will likely be prizes of some sort. We know why you really come here, people). It’s going to be a blogathon bonanza! ← New year, new beginnings. Really looking forward to these blogathons, even though I’m not able to participate in all of them. These are going to be great! I can always trust you gals to know all the best blogging news :). Yay for more blogathons! All of these are going to be great! And I can’t wait to see what you lovely ladies have cooked up for this summer. And you know Michael and I are bringing back Summer Under the Stars! 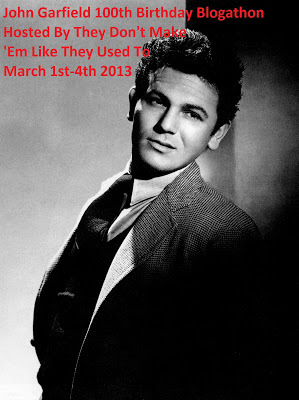 Thanks so much for giving a shout-out about my John Garfield blogathon! I appreciate your support!